John Batter’s practice focuses on the defense of public and private companies and their directors and management against breach of fiduciary duty claims and securities fraud allegations, including those arising out of mergers and acquisitions and public offerings. He also has extensive experience handling the defense of SEC investigations and the unique issues presented by class actions. 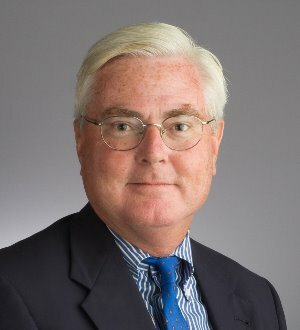 Mr. Batter joined the firm in 1982 and is a member of the firm’s Senior Associates Committee. Mr. Batter represents high technology and other public and private companies, which have included a national NYSE retailer, Raytheon, Canaccord Genuity, Gulf Oil, Cumberland Farms, Vonage, Discovery Communications, Chicago Bridge & Iron, Aspect Medical Systems, Inc., Peritus Software Services, Akamai Technologies, BioSphere Medical, Inc., Copley Pharmaceuticals, Fallbrook Technologies, Storage Technology, Avid and Michaels Stores. Clients rely on Mr. Batter to defend securities claims as well as to provide counsel on corporate governance matters and in connection with SEC, FINRA, FDIC and state regulatory investigations. In addition to advising clients in securities matters, Mr. Batter represents companies involved in litigation arising from consumer class actions and software or other technology licensing disputes. Recognized as a Massachusetts leader in the Litigation: Securities field in the 2006-2014 editions of Chambers USA: America’s Leading Lawyers for Business. Recognized as a "New England Super Lawyer" (formerly "Massachusetts Super Lawyer") in securities litigation in Boston Magazine's annual listing.